The world’s smallest dog, the Chihuahua is the breed of dog considered truly indigenous to the Western Hemisphere. 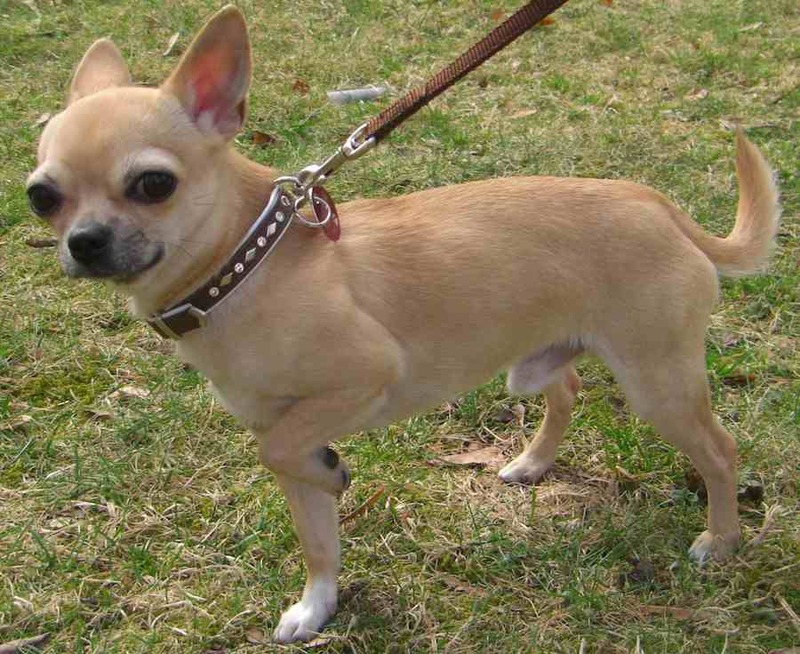 The breed’s name indicates its ancestors came from the State of Chihuahua in Mexico. However, the breed’s origins more properly belong to the whole of the country. 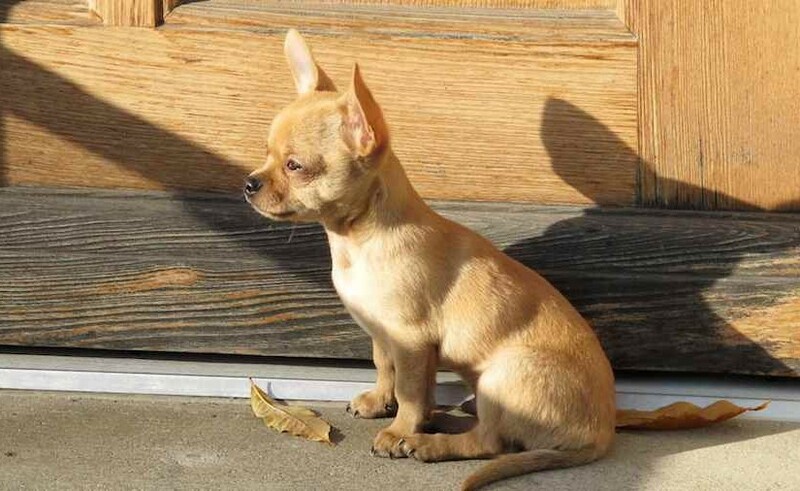 It is thought that the Chihuahua is derived from an earlier breed known as Techichi, popular during the Toltec period, around the 7th century A.D. 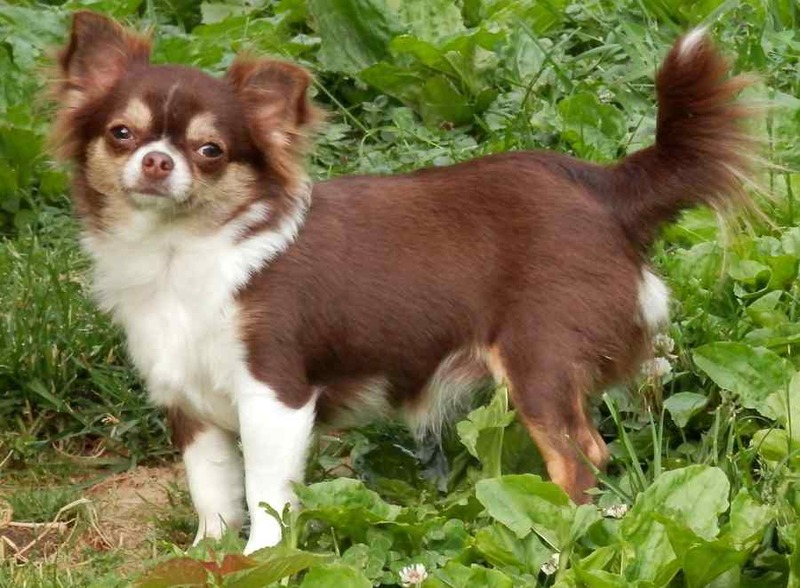 It is said that the Long Coat Chihuahua was developed entirely in the United States by crossing the Short Coat Chihuahua to the Papillon and the Pomeranian. The Chihuahua has evolved primarily as a human companion. General Appearance: A graceful, alert, swift-moving little dog with saucy expression. Compact, and with terrier-like qualities. Temperament: Saucy, superior intelligence, generally reserved towards strangers. Size: A well-balanced little dog not to exceed 6 lb. (2.7 kg), 2-4 lb. (1-2 kg) preferable. Coat and Colour: Coat: In the smooth chihuahua, the coat should be soft in texture, close and glossy. (Heavier coats with undercoats permissible). Coat placed well over body with ruff on neck, and more scanty on head and ears. Colour: A solid colour. Marked-a solid colour with markings of another solid colour(s). Splashed-irregular, patched solid colour on white or white on solid colour. Merle shall disqualify. Head Skull: Well-rounded apple-dome skull, with or without molera. Cheeks and jaws lean. Muzzle moderately short, slightly pointed. Nose selfcoloured in blonde types, or black. In moles, blues, and chocolate, they are self-coloured. In blonde types, pink nose permissible. Mouth: Teeth level or scissors bite. Eyes full, but not protruding, balanced, set well apart – dark, ruby or luminous. (Light eyes in blond types permissible.) Ears large, held erect when alert, but flaring at the sides at about an angle of 45 degrees when in repose. This gives breadth between the ears. Neck: Slightly arched, gracefully sloping into lean shoulders, may be smooth in the very short types, or with ruff about neck preferred. Body: Topline – level back (never down or low), slightly longer than height. Chest – plenty of brisket. Ribs rounded (but not too “barrel-shaped”). Loin well muscled. Croup in balance with rear assembly. Abdomen – slight tuck up. Tail: Moderately long, carried sickle either up or out, or in a loop over the back with tip just touching the back. (Never tucked under.) Hair on tail in harmony with the coat of the body, preferred furry. Gait: A graceful, swift and flowing straight forward movement with good reach and strong drive. Serious Faults: Undershot, overshot, weighing more than 6 lb. (2.7 kg); bobtail. Disqualifications: Cropped tail, broken down or cropped ears. Merle colour. In the Long Coat Chihuahua, the coat should be of a soft texture, either flat or slightly wavy, with undercoat preferred. Ears fringed (heavily fringed ears may be tipped slightly, never down). Feathering on feet and legs, and pants on hindlegs. Large ruff on neck desired and preferred. Tail full and long (as a plume). Disqualifications: Cropped tail, broken down or cropped ears. Too thin a coat that resembles bareness. Merle colour. Link: Chihuahua video on Animal Planet.